Create an Alliance bank to transfer resources to other members. Members must buy (research) the ability to use alliance bank; 5T Cre, 25T RP (this is huge---discourages "fake/shadow/**** alt accounts" from abusing alliance bank). Any active main, even F2P, attempting to better themselves could easily qualify to participate. Although bank is 'virtual', transfer cost is calc'd based on center of world. If transferring from 400,500 and center of world is 500,500 then, cost is based on 100 clicks. Same for withdraw. Two members adjacent to each other at 400,499 and 400,501 would collectively spend RP based on a 200 click transfer (not 2). 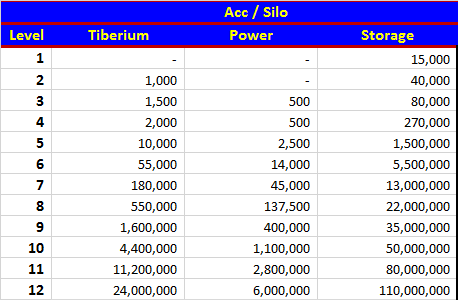 Alliance officers and leaders would need to increase alliance bank storage capacity (spending resources from alliance bank to increase capacities). Costs associated would be based on current Acc/Silo costs (server dependent) x 500 while storage capacity increasing x 1000 over current units. Increasing from level 64 to 65 would cost nearly 59T of Tib, 14.7T of Power and provide over 270T of storage. Implied though, allow players to transfer power between their own bases at 2x normal credit cost. Ok, updated. Worlds aren't empty after fortress kill by any means though. Perhaps Alliance bank should be 'fortress bank' instead, loss of center would be loss of all stored resources, captured by the new alliance.